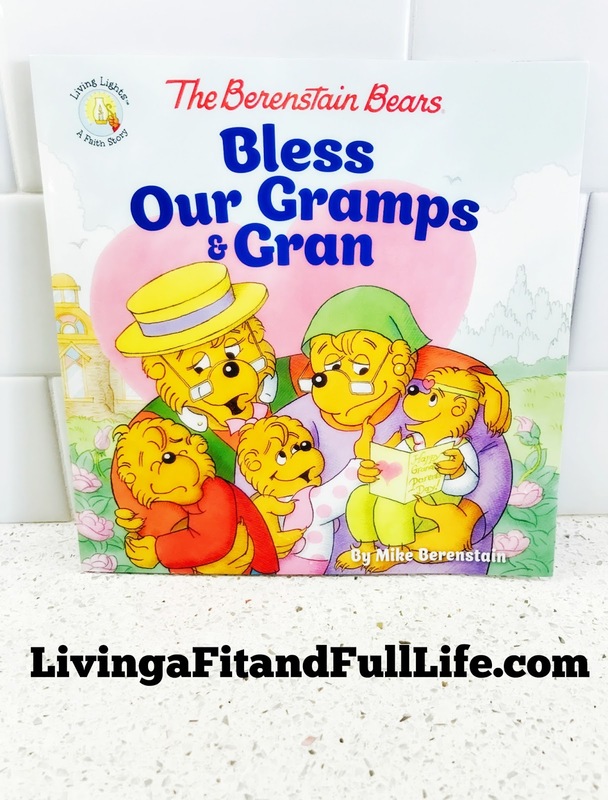 Living a Fit and Full Life: The Berenstain Bears Bless Our Gramps and Gran by Mike Berenstain! The Berenstain Bears Bless Our Gramps and Gran by Mike Berenstain! 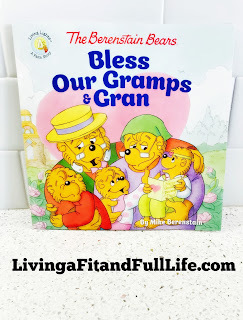 The Berenstain Bears Bless Our Gramps and Gran by Mike Berenstain is an adorable book for kids! I grew up reading The Berenstain Bears books and I have to say, I'm extremely thrilled that my kids get to do so also. I love the wonderful messages in each and every Berenstain Bears book as do my kids. 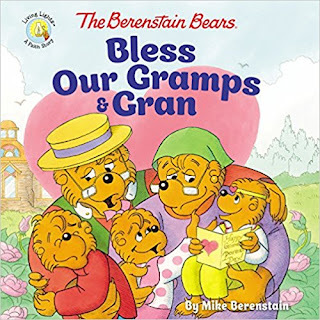 Grandparents Day is the perfect day for kids to honor their grandparents and The Berenstain Bears Bless Our Gramps and Gran by Mike Berenstain book is the perfect reminder to do so. My kids love the beautiful illustrations and classic Berenstain Bears characters throughout this book. If fact, they love this book so much it's one they ask to read just about every night. The Berenstain Bears Bless Our Gramps and Gran by Mike Berenstain is a terrific book that kids will love! You can find The Berenstain Bears Bless Our Gramps and Gran by Mike Berenstain on Amazon, Barnes and Noble and other bookstores.